Sniffer is called in to assist a high-ranking prosecutor who returned to his home to discover some incriminating sexual photos of himself, along with a threat of extortion. Sniffer quickly deduces that it's the man's wife that has left the photos and demanded the money. Alex finds out that his mother has taken the stash of marijuana he was hiding. He wants it back, insisting it wasn't his and that he was just holding it for someone else. She demands he take a drug test but he refuses. Despite her claims to have flushed the stash down the toilet, it's revealed that she still has it hidden. Alex visits his father to ask for some money, claiming it's for a new laptop, but Sniffer won't give him the money without talking to his mother first so Alex leaves angry. Sniffer is called in to investigate another murder. The man's name is Boris Eduardovich and was the chairman of Rusukrbank. He had been shot through the head by a sniper that was hidden on the top of a building. Sniffer determines that the killer is a forty-year-old male who works in a tobacco company that manufactures cheap cigarettes. Sniffer meets with his ex-wife to discuss Alex, whom she believes to be a junkie. She wants to send Alex to a rehab clinic and for Sniffer to pay for it but Sniffer believes that he must speak with Alex first to get to the bottom of what is going on with his acting out. Viktor calls Sniffer about some new leads from the bullet pulled from Eduardovich's body. With this, they are able to narrow their investigation down to a single tobacco factory. 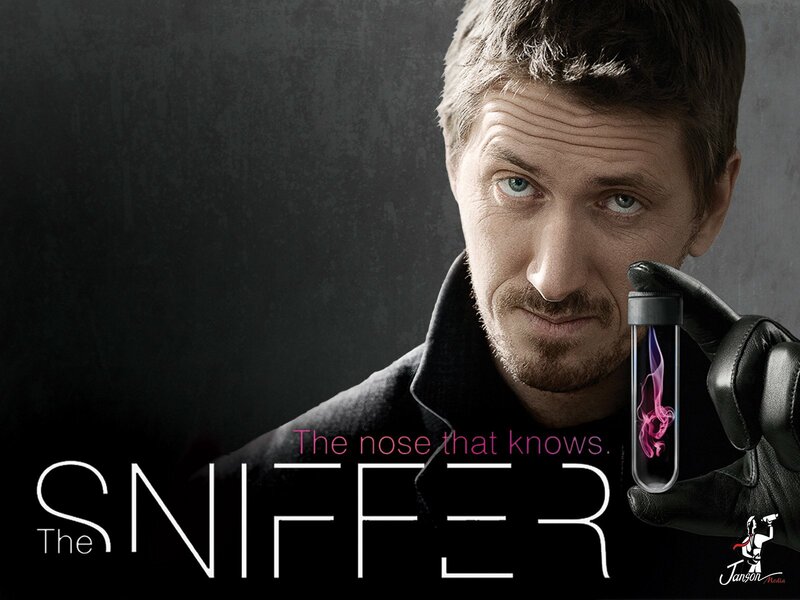 Sniffer then has an appointment with his doctor Tatyana, during which he gifts her with a box of her favourite chocolates and hunts down another doctor in the hospital that had stolen some important medical drugs from Tatyana. Upon visiting the factory with Viktor, Sniffer is able to get another lead from trace odors the killer left behind of a particular type of small flowers. They also discover another man shot dead there named Gutnik. Alex is shown to be in trouble with a drug-dealer for losing the stash he was holding. The factory where Merluzov was murdered had been pushed to bankruptcy and was going to be demolished. A company called "Sophocles" was supposed to get the land afterwards, and this company was overseen by RUSUKRBANK and more specifically, Gutnik. Viktor learns that the men who were killed were childhood friends and did everything together with a third friend. This friend is a man in the military whom Viktor visits to question. The killer attempts to shoot him but he is spotted first so the man pulls one of the soldiers in front of him. The young man ends up with a bullet in the shoulder and the killer is forced to leave without completing his attempted third kill. Sniffer is taken aback to find there aren't as many trace scents left behind this time. He does however find a bit of napkin that the killer threw away that is full of scents to investigate in his lab. Sniffer's investigation of the napkin leads him and Viktor to investigate fresh graves at a cemetery. Sniffer also learns of Alex's problems with the local drug dealer and agrees to help him out of the situation and pay off his debt. Sniffer and Viktor are brought to a grave of a young girl. Her mother died of a stroke a week ago and was buried next to her. The flowers on the graves match the scents Sniffer picked up, along with the wax from candles that are lit on them. The mother had suffered a stroke and become paralyzed the day after her daughter died in a hunting accident. They quickly deduce that the men involved in her death are the ones the shooter has been hunting down. Viktor and Sniffer trace the killer back to this apartment and Viktor is forced to chase after him and engage in a shoot-out. Eventually, Viktor kills the shooter before he can kill Sniffer. Finally, Sniffer gets a call that Alex has been arrested for murder.